Floor mats are widely used in order to protect any space from dust, dirt, rain and other. Wiping your feet on the outside of all entrances allows to absorb dirt and moisture and keep the cleanliness indoors. They can help trap the excessive dirt, dust and other substances such as oil and water, mud, etc. There are many advantages of having a floor mat in your entry: Placing a mat in all entries provides more protection for your business; dust and mud that can scratch floor finish or leaving it dull get trapped in mats. Nevertheless, a floor mat can add security, both business and visitors, as it prevents accidental slipping. The rugs enhance the view of your business, by giving an appearance of cleanliness and hygiene, with the extra that mats could serve as advertising if it's customized with the logo of your company. Increase the level of security, preventing slips and falls that can result in serious consequences, since water and mud can be the most common causes of falls and accidents. Placing a doormat at the entrance, either outdoor rugs or our indoor carpets, will give an impeccable image to your local while avoiding slips, falls and dust. Nowdays, floor mats are more than simple instruments that ensure the cleanliness os a place. 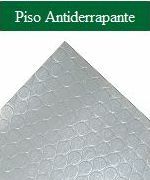 These mats have many purposes: not only marks spaces, but also are decorative elements and acts as a vehicle for advertising and promotion of any bussines. By using custom logo floor mats you'll have a clean entryway to the prime location for interaction, but also flaunt logos that make a huge impact on everyone who crosses the threshold. These rugs can be customized with any logo or message, in fact, you can choose the material depending on the area will be located. Thus, if floor mats is going to be indoor but it's in a high traffic place an anti-fatigue mat would be perfect, in order to reduce step impact, noise and a firmer grip . If floor mat is placed outdoor, exposed to wheater variations, a anti-slip mat that stores the dust and dirt would be ideal. Made in high quality materials, custom logo floor mats can make difference in your bussines, it not only contributes to the cleanliness of the space, reducing maintenance costs, but also promotes company image by setting it in the subconscious of all people that walks through spaces. The small details are what count, and this one ensures the care and promotion you want.